Kintamani tour is a Bali full day tour package to enjoy visiting Kitamani village with breathtaking view of mount Batur active volcano in Bali islands. Bali Kintamani Volcano View Tour is the best Bali full day tour packages in Bali to visit Kintamani Village with breathtaking view of an active volcano and lake Batur from the top. 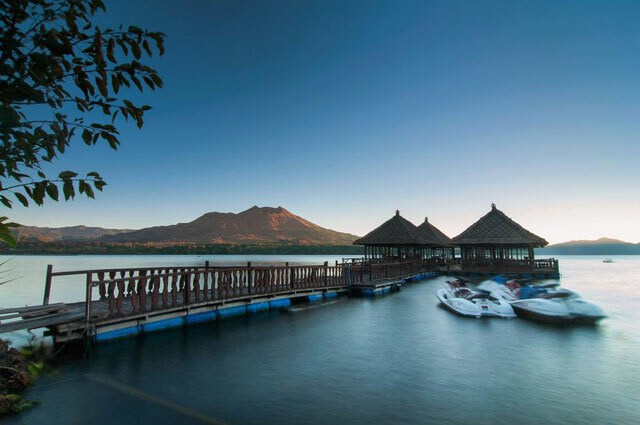 It's the most choices tour for opportunity the magnificent view of mount Batur volcano and the lake form Kintamani Village, never missed this trip opportunity to make your holiday more impressive one. Beside see the volcano, also the Kintamani tour will visit other interesting tourist destination which is worth to visit during your journey explore this amazing islands. Kintamani Tour will visit places of interest in Bali like Watching Barong and Keris Dance performance or Trance dance is traditional Balinese dance with story fighting Good and Evil. Then, tour continue to visit Celuk village for see the process making traditional gold and silver art, Batuan Village for see the process making traditional painting art in this village. Then, we heading to kintamani for see the magnificent view of Active mount Batur and Lake batur view. After finish admire the beauty of volcano view, we will having lunch in Kintamani with view volcano of mount Batur and lake Batur from the restaurant. After lunch Kintamani tour, continue to visit Tirta Empul Temple is a sacred holy spring water temple at Tampak siring village, then tour continue to visit the Goa Gajah Temple or known as a elephant cave temple. After finish explore the elephant cave temple we will go back to hotel with bring Amazing memory feature in this full day kintamani mount batur volcano and lake bature view tour packages. Enjoy this Kintamani Tour Packages with our professional tour driver by perform excellent Bali Tours Services during your holiday in Bali and below is a short description about the place of interest you will visit during Bali Kintamani Tour. Barong And Keris Dance Is Balinese Dance Story About Fight Between Barong and Rangda. Bali Celuk Village Is Artistic Of Gold And Silver Art in Bali Island. Bali Kintamani Village is The object of Mountain is Very Unique. Bali Tirta Empul Temple Is Balinese Hindu Temple And Religious Ceremony. Bali Goa Gajah Temple Is a Buddhist Temple For Buddhist Monk. 08:00 – Pick up at the hotel. 09.30 – Watching Barong and Keris Dance Performance (Trance Dance). 11.00 – Visit Celuk Village for Traditional Gold and Silver Art. 11.30 – Visit Batuan Village for Traditional Painting Art. 13.00 – Visit Kintamani Village for see the amazing view of Mount Batur Volcano and Lake Batur View. 13.30 – Enjoy Lunch at Kintamani with view Mount Batur Volcano and Lake Batur View. 15.00 – Visit Tirta Empul Temple (Holy Spring Temple). 16.30 – Visit Goa Gajah Temple (Elephant Cave Temple). 17.30 – Back to hotel. 18.30 – Arrive at Hotel. IDR. 550.000/car ( 1 till 6 person included). IDR. 850.000/minibus ( 1 till 12 person included). IDR. 1.100.000/minibus ( 1 till 17 person included). IDR. 2.000.000/bus ( 1 till 30 person included). Private Car / Minibus / Bus. Entrance fee and Lunch is not include in the price. For Inclusive Price is minimun Booking 2 Person. Lunch Indonesian Food and Mineral Water. The price already include with 21% Government tax and Services. Get special price for group booking. #Regular Tours Price: is a Bali day tours price without include lunch and entrance fee, you need to pay by your own self. #Inclusive Tours Price: is a Bali day tours price with include lunch and entrance fee. The tour is Private Tours, means there is no other participant, just only you and your companion. The Tour will assist by English Speaking Tours Driver, Tour Guide can be requested, contact us if you want to request Tour Guide during the trip. Payment is on the day itself with our driver. Payment with other currency will convert based on daily exchange rate. Source:Bali Golden Tour, Trip Savvy.